"she couldn't have won any more easily on her hurdling debut at Hereford when barely coming out of first gear to win by 16 lengths"
Alan King has a good record in this race and today's charge Giving Glances looks just the type to continue that record. The filly was an 85 rated flat performer and recorded a Racing Post Rating of 120 when she couldn't have won any more easily on her hurdling debut at Hereford, barely coming out of first gear to win by 16 lengths. You can expect some improvement after that run and she more than warrants the step up in grade, has soft ground form from the flat and for me looks a class above her rivals today. This should be a cracking race to watch. 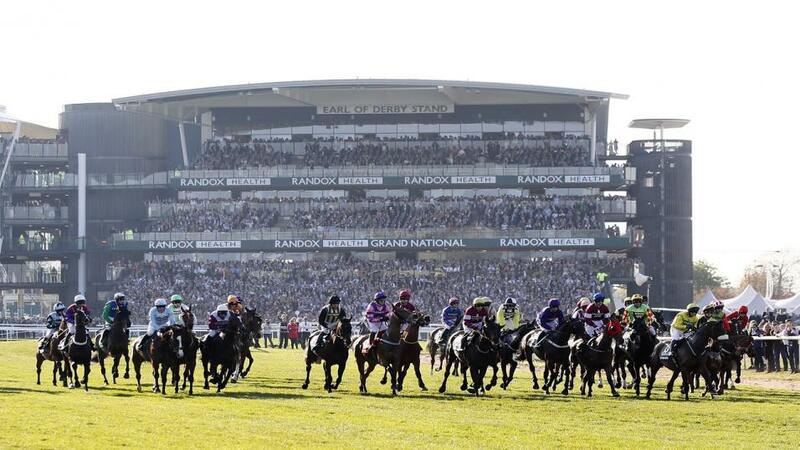 It will be good to see 2017 Grand National winner One For Arthur back in action today, although I can't see him winning this after being out of action for so long and to be honest even if he does return to the best of his ability it will be an incredible achievement at these weights to pull it off. The odds-on favourite Definately Red looks short in the market but is going to be incredibly difficult to beat for me. Brian Ellison's gelding has won his last three races at this level, including the Charlie Hall Chase on his seasonal bow last month. Despite having to give weight to all of his rivals, he has everything in his favour once again to add to his tally and will have no problem with today's ground. Although I think the horse wins this race, he is short enough for me to let him go as a single bet and won't be backing him alone; he just forms the first part of an Aintree double for me with my main selection at the meeting Giving Glances. I don't like putting short price runners in these articles but I just love this horse and couldn't leave him out in what looks an excellent renewal of the first big 2m chase of the season the Betfair Tingle Creek. Although this looks like Altior's stiffest test to date, I still think Nicky Henderson's nine-year-old looks to hold a superb chance, as his odds suggest. Unbeaten in nine starts over fences, he won the Champion Chase in devastating style after looking vulnerable at a crucial stage in the contest, but pace slowed considerably at Cheltenham and when last seen in April, he won the Celebration Chase over today's Course and Distance. He did hit a flat spot in the Champion Chase which is a minor concern but that was when the pace slowed right up. However, with the likes of Saint Calvados and Un De Sceaux likely to get on with things in front, I suspect this will be a true test and his class will come to the fore. Sceau Royal is another who will benefit if the other pair do go at it from the front and it could be him that eventually picks up the second place. *I am also including Altior in a treble with the two Aintree runners, but for the purposes of the column P&L - it will be three points staked, two singles on Giving Glances & Altior and a double Giving Glances and Definately Red.